The middle-aged man walked in with head bowed and shoulders hunched. Once seated, though, his demeanour changed. He sat back and removed his sunglasses with a flourish. ‘Yes, Doctor, to save you asking, it is me,’ he said, smiling conspiratorially. I stared at him and tried to recall what in his medical notes might explain this bizarre introduction. ‘You must recognise me?’ he said, puzzled at my silence. I shrugged and smiled an apology. He appeared irritated, but suddenly burst into song. This was getting weird. ‘No, I’m really sorry,’ I interrupted. He looked crest-fallen. ‘I’m useless at faces.’ This wasn’t true but I hadn’t a clue as to his identity. It turned out that he was a singer who’d had a hit single in the Eighties — I placated him by telling him I was too young to have heard it. As we talked, I discovered he’d done pretty much nothing since, apart from endless, futile attempts to resurrect his pop career. I was struck by his determination to keep that period of his life at the top of the conversation, his desperation to hang on to his 15 minutes of fame. It defined him utterly and without it his life seemed meaningless. He had many problems, but I felt this was surely a factor. 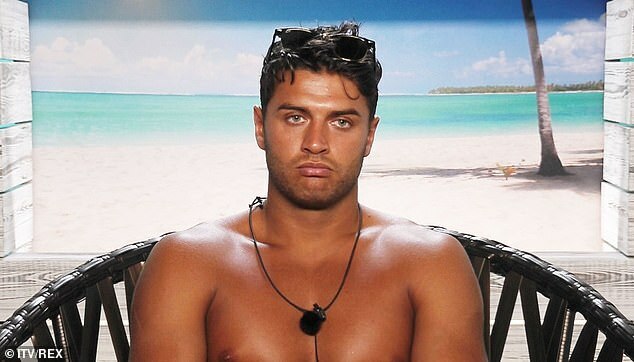 That encounter took place some years ago, but came to mind when I read about the death of reality TV ‘star’ Mike Thalassitis, 26, who’d appeared briefly on Love Island. He is reported to have taken his own life, beset by personal and money problems. Mike is the second Love Island contestant to have died in tragic circumstances. Last year, 32-year-old Sophie Gradon was found dead at home. An inquest into her death was postponed last week. It got me thinking about the type of transient fame afforded by reality TV and social media that attracts so many young people today — and its downsides. I met the ‘pop star’ when I was working in a private London clinic for people with drug and alcohol issues. It wasn’t quite The Priory, but many of the patients were well-heeled, a few were household names, while others had pursued careers on the fringes of showbiz. There were several bit-part actors, singers, TV and radio presenters from the Eighties, Nineties and early Noughties whose names had long since sunk into obscurity. Their files were labelled ‘VP’ — a shorthand way of signalling to doctors in the clinic that they used to be a VIP. Over many months I got to know some of them well, and I found their cases unbearably poignant. Without exception, they harboured the delusion that the public remembered them and one day they’d be back in the spotlight. I came to the conclusion that many of these people had sought fame originally because of deep-rooted feelings of inadequacy or profound emotional issues. Success and public approval can be a validation of a troubled individual’s existence, a substitute for love and intimacy. But when no one wants you any more, and you may have to resort to ever more desperate measures to stay in the limelight, the public rejection can be overwhelming. And sadly, the people who want fame at any cost are usually the most vulnerable to its flip side. Some of my patients had used drugs while they were famous, but as their careers began to slide, the drugs took hold. Others turned to drink or drugs as a way of coping with the sense of loss and failure after their careers faltered. It was an instructive lesson in the aftermath of the fame game. Until relatively recently, it was hard to become famous. Now it has never been easier, as TV shows demand a never-ending supply of human fodder for reality shows that guarantee a brief burst of notoriety. And then there’s social media, with numerous opportunities for the fame-hungry to find a platform and exploit it. 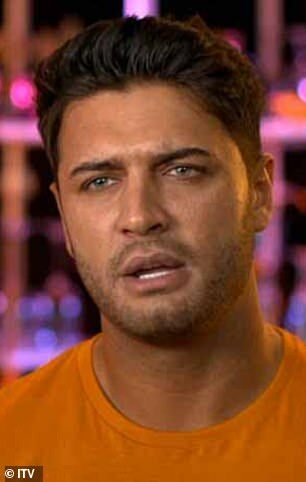 There is no suggestion that Mike Thalassitis used drugs and alcohol, but it’s clear that fame took its toll. His friends have spoken about how his portrayal on TV — as a cheeky lothario — was very different to the person they knew. But that’s the problem with these shows — they portray contestants as caricatures. We laugh at them, love them and hate them, forgetting that they are real people with real emotions. Following the deaths of Mike and Sophie, there have been calls for better support for contestants and psychiatric aftercare, as well as counselling on how to handle fame. But as a psychiatrist I can tell you the only sure-fire way to escape unscathed is never to get involved in the first place. As the audience, we must also accept responsibility for our role. We are suckers for the scripted melodrama and allow ourselves to be manipulated by producers. Our appetite is insatiable, but we’re fickle and easily bored. All too soon we’re looking for the next fix, the next new hot contestant to lust after or be scandalised by. We never think about what happens to those characters when the cameras stop rolling. You may disagree, of course, and say contestants know what they are signing up for, but the pervasive effect of this celebrity culture is truly terrifying. Too many youngsters today have no career aspirations beyond ‘being famous’ — like their reality TV heroes. Not famous for something. Simply famous for the sake of fame. I find this profoundly depressing. Celebrity can be intoxicating, yet for all but a handful of individuals it is temporary. We should be guiding children away from it and towards the pursuit of rewarding and satisfying careers. Being ‘adored’ by the public, gracing red carpets and having tens of thousands of followers on Instagram cannot replace real love and connection. If we don’t get that message out there and fast, there will be many more tragedies like Mike and Sophie’s. The Mail reported this week that more than half of NHS health authorities are restricting access to cataract operations to save cash. This makes me so angry, because this isn’t an ophthalmic issue — it’s a mental health issue. Cataracts occur when the eye lens clouds over, usually with age. Removal of cataracts and replacement with an artificial lens — a quick, routine procedure with almost instantaneous results and which costs just £1,000 per eye — has a tremendous impact on the lives of older people. They go from feeling isolated and struggling with everyday activities to suddenly being able to cope again. Their independence is restored. The NHS is stretched, but why is this procedure being targeted when the cost-to-benefit ratio is so clear? I believe ageism is an issue here. I doubt authorities would ration paediatric care in the same way. Some years ago, I was sitting postgraduate exams for membership of the Royal College of Psychiatrists. There was silence. There had indeed been a question about psychology and the Nuremberg Trials (the tribunals of Nazi war criminals between 1945 and 1946) which had assumed basic knowledge about this period in history. It soon became clear that some others had struggled with this question, too. All had qualified as doctors abroad and had been in the UK for a short time. It was entirely understandable that they might not know about events relating to World War II. But such events helped shape our country’s place in the modern world. They are part of our collective consciousness. This is why the Royal College included such an ethnocentric question. Of course, we want doctors to know medicine first and foremost, but knowledge of a nation’s culture, history and social structures is also important if you are to understand and care for its people. This week, we learned that the NHS is now importing more doctors than it is training. 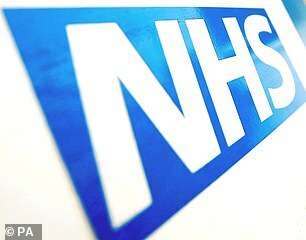 I believe one of the great assets of the NHS is the rich diversity of people who work in it. But I worry that we are so reliant on doctors from overseas, often recruiting them from impoverished nations where they are desperately needed. It’s also vital that foreign doctors understand the communities they serve. We need more homegrown doctors — and to work harder to keep the ones we’ve trained already. Skin conditions such as acne, psoriasis and eczema are associated with significant psychological problems. Rates of depression, anxiety and suicide attempts are higher among sufferers than the general population. And, of course, low mood, anxiety and stress will often exacerbate skin disorders, creating a vicious circle. This British Association of Dermatologists website focuses on the growing area of ‘psychodermatology’, and is a useful resource for anyone who wants to know more or is seeking support.